If you've switched from iPhone to Android, you may have encountered a frustrating bug: some text messages don't get delivered to you and neither you nor the person sending the text knows it. For a long time, Apple didn't acknowledge this bug so there wasn't much to do to fix it, but that changed after Apple released a free tool to remove your phone number from iMessage that gets your texts moving again. When two iPhone users are texting each other, by default their messages are sent via iMessage, Apple's free iPhone-to-iPhone messaging tool (you can know a text has been sent using iMessage because your word balloon in the Messages app is blue). When one person in a conversation has an iPhone and the other person has another kind of phone — Android, for instance — traditional text messaging is used (represented by the green word balloon). No problems so far. The problem comes in when someone who used to have an iPhone, and thus used iMessage, switches to Android or another platform. In that scenario, Apple's system sometimes fails to recognize that a switch has been made and it will still try to deliver the text via iMessage. Because the iMessage network is totally separate from the standard text messaging network, the message dead-ends and never gets delivered to its recipient. To make matters worse, the sender doesn't know that the message wasn't delivered, either. Go to Apple's Deregister iMessage website. Scroll to the section titled No longer have your iPhone? Enter your phone number (this assumes that you carried your phone number from your iPhone to your new Android phone) and select Send Code. You will receive a text message on your new phone with a 6-digit confirmation code. Enter that code into the website and select Submit. This removes your number from iMessage and solves the problem. Move the iMessage slider to Off/white. Take the SIM card from your new Android phone and insert it into your iPhone. 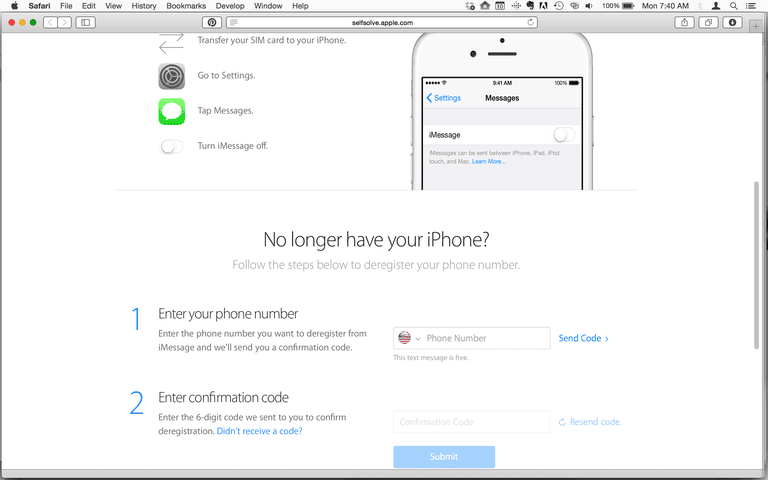 This temporarily moves your phone number back to the iPhone. Put the SIM card back in your new phone. The Android bug isn't the only problem that you can run into sending texts. To learn more, check out iPhone Text Messages Not Sending? Here's How to Fix It. Still Looking on Your Phone for Your Downloads? Check Here! Got a Frozen Android App Download?